Pelenna Patchworks: Wanderlust by Amy Ellis for Moda now in stock! 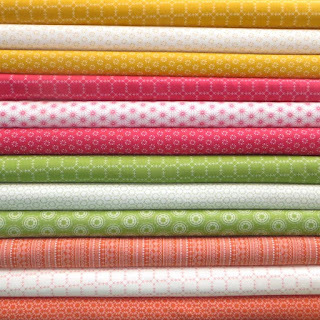 Wanderlust by Amy Ellis for Moda now in stock! The colours really pop in this new range from Moda - Wanderlust by Amy Ellis is a fresh new collection great for high contrast quilts! Citrus brights and petite patterns make up the range, inspired by henna and the traditional colours of Indian clothing - get all 12 prints in stock at a great price with one of our stash packs or a discounted fat quarter pack! Lewis & Irene Bee Kind now in stock!